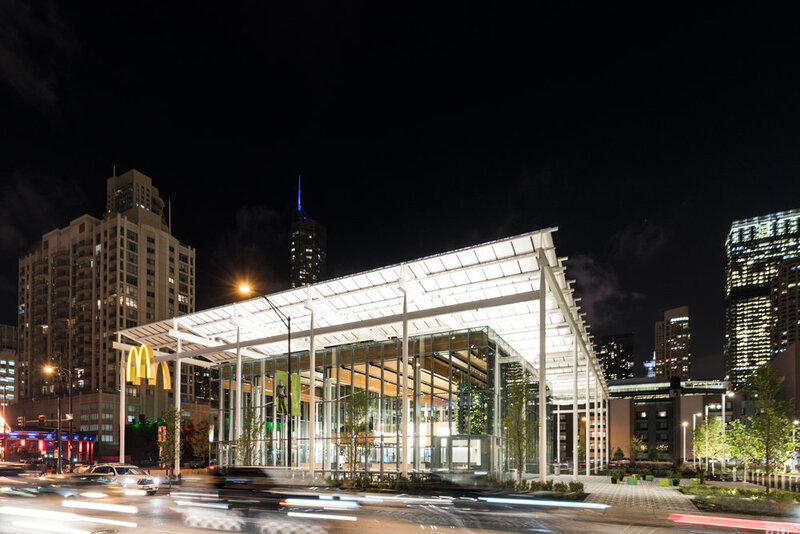 The innovations at McDonald’s Chicago Flagship restaurant, including Omni Ecosystems’ green infrastructure, are featured in a write-up from ArchDaily. “In addition to the trailblazing use of CLT, the restaurant features more than 70 trees at ground level, a vegetated roof space and a floating glass garden of ferns and trees. The roofs feature edible plants including apple trees that will be harvested and donated to the Ronald McDonald House.” Read the full article here!